Real time monitoring is important for any business that wishes to have their IT systems running as efficiently as possible. Used correctly, it can give you true visibility of every aspect of your network and system health. Firstly lets start with what it is and what it does. Real time monitoring, as used in IT networks, is a solution that gives you full visibility of all systems and the devices plugged into it. So you can see exactly what is going on at any given time. As a result, you can see where problems begin and end, making fault isolation much easier and much faster to carry out. Administrators can be alerted of any potential problems and act quickly to resolve them. IT faults can sometimes be rather strange and begin from something as innocent as an end user downloading the wrong executable file or a subsystem getting stuck in an endless loop which then affects the rest of the network. If you have the ability to see what is going on in real time you can then isolate and address these issues before they cause an outage. Historically, having a real time monitoring solution in place used to be mainly found in enterprise sized networks because there simply is not another way to monitor the networks health but thankfully these technologies have trickled down to SME targeted solutions over the last 5-10 years and some of these are very good as well as free. We currently use and recommend PRTG Network Monitor which is a paid product but it can be installed on Windows computers and managed from a web interface so no Linux skills are required, unlike free products like Nagios. It also means that updates come through regularly and it is easy to get help with configuration and any issues you may have. It is a small download and installs in a few minutes. You can then use the auto-discover feature to find the devices on your network and create the sensors in PRTG. There’s multiple user interfaces to choose from; web browser is the most common but there is also the Enterprise Console which is a Windows application, a cut down HTML only browser interface and apps for iOS and Android for easy monitoring on the go. PRTG can monitor just about anything you can think of on your network and has many out-of-the-box sensors to help take the pain out of configuration. Alerts can be sent out via a variety of methods like emails, SMS and alarms and are fully configurable so you can set limits, thresholds, conditions etc. Clustering is possible with PRTG installations so your monitoring is always available. Remote Probes can be used to monitor networks in different locations or separated within your company. Infinet Network Solutions recommends HP servers and storage for this reason and many more. Contact us today to find out more on how real time monitoring can protect your business. Seems like a nice hack, I think i will have to have try it myself. The result of spending copious hours and days, knee deep in Linux IS – a working and stable 2TB NAS with Debian Linux based on Seagate GoFlex NET. Persistence and Charisma eventually paid off, ended up being a labour of love, but it was WORTH IT. This is a guide on how to do the same the EASY WAY. 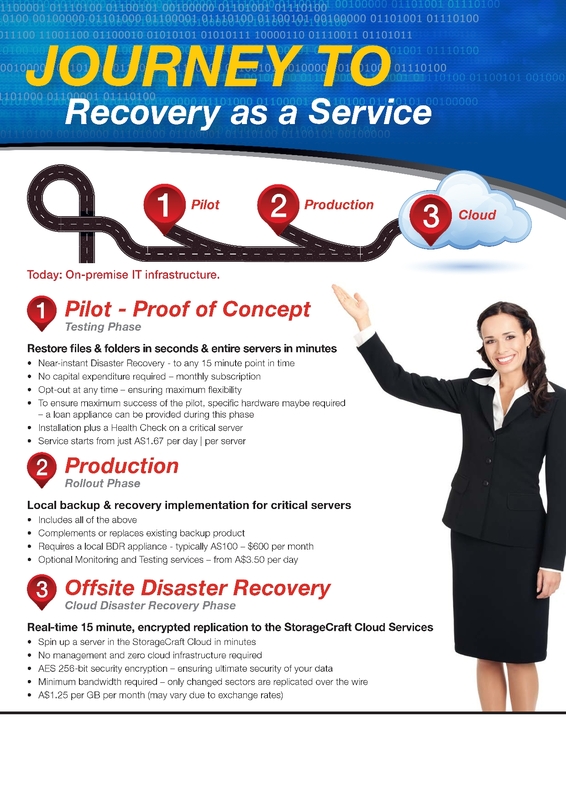 Infinet is excited to be launching a new Recovery as a Service offering with our partner StorageCraft. 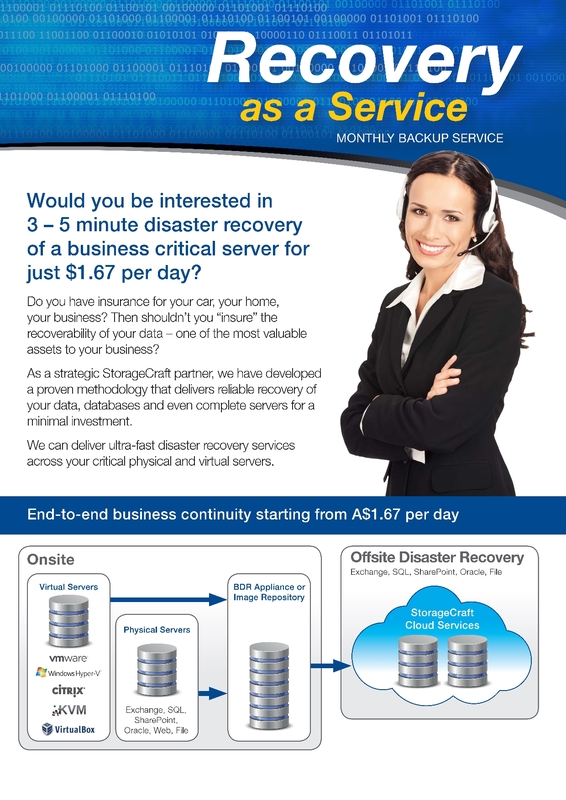 It promises to take the pain out of Disaster Recovery with an easy to manage solution and very low starting cost. Perfect for SMB’s! We will start signing on customers for this service in the coming weeks so register your interest today and we will assist you with any questions you have. You can use the contact form at the bottom of this post and we will get back to you promptly. The Surface Pro 2 will look almost identical from the outside but Microsoft have made several performance improvements under the hood and the kickstand now has two open positions instead of one which allows it to tilt back flatter to the ground. It is packing the new 4th-generation (Haswell) Intel Core i5 processor which gives it 20% more power and then the previous model and twice the graphical power. Best of all, battery life will be significantly improved. Microsoft is stating a 75% increase but we’ll have to wait and see some real world test results. It will be available in 64GB, 128GB, 256GB and 512GB versions. The last two will also have 8GB RAM options which is fantastic but those big specs will cost you big dollars. The 512GB version starts at $2039 – Quite a big price jump from the 256GB version. You will also get USB 3.0, microSD and a Mini DisplayPort. The Pro Pen otherwise known as a stylus, is also included. Photos and movies will look great on the 1080p widescreen display too. Microsoft have also tried to sweeten the deal by including 1 year of unlimited free voice calling to landlines in over 60 countries using Skype and free Skype WiFi. They also throw in a massive 200GB of additional SkyDrive storage for 2 years to store your data online. That is many times more than the competition offers for free. 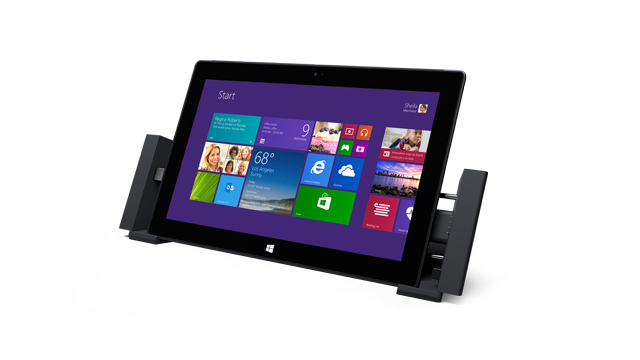 Let’s not forget the accessories because they are what makes the Surface and truly functional and productive device. The Touch Cover and the Type Cover have both been improved upon; making them lighter, thinner but also more rigid and responsive. New this year is the Power Cover which is a keyboard but also houses a battery to extend the battery life of your Surface Pro 2. The Docking Station will be a welcome addition for many business and home users. It will allow you to plug in an external monitor, Ethernet, full size keyboard and mouse, printers and other peripherals and speakers of course. Windows 8.1 also helps to resolve many of the biggest complaints early adopters had with the original Surface but is all this enough to entice users away from their tablets and laptops? Only time will tell but Microsoft are definitely headed in the right direction with these improvements. Looks like the folks at BlackBerry have finally begun to deliver on their promise to open up BBM to competing platforms. The real question though is, is this too little too late. We will be watching this development closely and keep posting on it. It should be noted that BBM is an excellent messaging platform and something we think all businesses that allow BOYD phones onto their mail servers should at least pilot BBM because it gives companies control in this sorely lacking area. This partnership has been formed with Lenovo because we wanted to ensure we could give our customers the broadest range of options available in the Notebooks, Tablets, Desktops and Servers area of IT solutions at the best possible prices! This enables us to work directly with Lenovo on bid pricing, product updates, pre and post sales service and many other exciting value adds that will assist us with delivering best of breed services to our most important asset, our customers. This exciting addition will augment our already exciting lineup of products and services from HP and Fujitsu already available from our online store. If you have any questions about this news or would like pricing on the ranges we carry please check the store or contact us directly for bulk order pricing so you can find out for yourself why many well known names in Australian business purchase the IT goods through Infinet. Well this is not the news we wanted to hear, at Infinet we love love love Solid State Drive (SSD’s) because they are soooooo much faster than anything else available. We have all very much enjoyed them coming down in price the way they have so we can actually justify the costs but we were hoping they would come down even more so they were in line with standard drive costs. Well according to this article this just is not going to happen, not any time soon anyway because there wont be a competing technology to push the price down for quite some time. Oh well, we can dream ……………just like we dreamed of fast internet for a decade in Australia!